I was lucky enough to be bought the Silk Creme foundation for Christmas in Beige Ivory. The finish of the silk cremes is incredible and really gives you the most flawless, silk skin. However, I find the finish is not essential for everyday, and for the price Id rather keep my silk creme for nights out and special occasions. Recently I went out again and decided to buy another tube, this time in a lighter shade, Cream Ivory. The shade of this is definitely nearer to my skin tone, however, I loved that beige ivory really warmed up my skin. With a bit of bronzer down the neck, it didnt seem to matter. 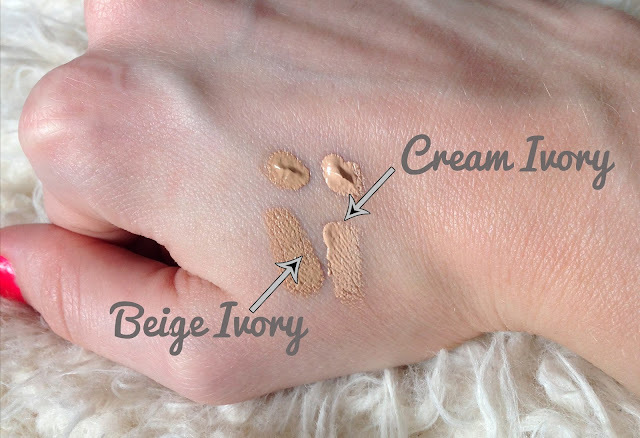 The cream ivory however, is like my skin but better, blending and buffing in perfectly. It is again a flawless finish and a cooler shade yet still with a warm enough tone to warm up my skin. I may try blending the two of these until they run out and then will continue to buy cream ivory. I’ve definitely found my match. This is by far the most amazing foundation you will ever try.